The Mahindra Thar is a lifestyle SUV that is macho and is sufficiently capable off the road. The clean, retro design of the Thar makes it very popular among all those who crave flamboyance and a high street presence. Here's DC's version of the popular SUV. 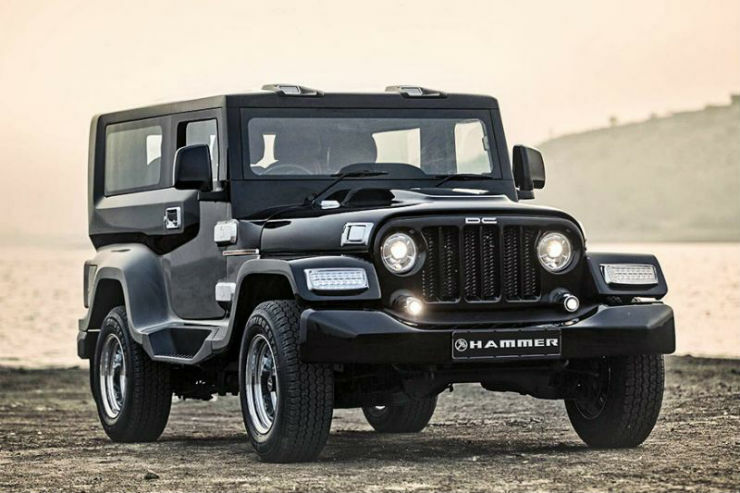 The body kit for the Thar costs Rs 5.5 lakh. It brings in a new grille, projector headlights, new fog lamps, and a new bumper. There's also a new hardtop, new tailgate, LED tail-lights, and updated doors. On the inside, you get an all-red colour theme and a touchscreen infotainment system. 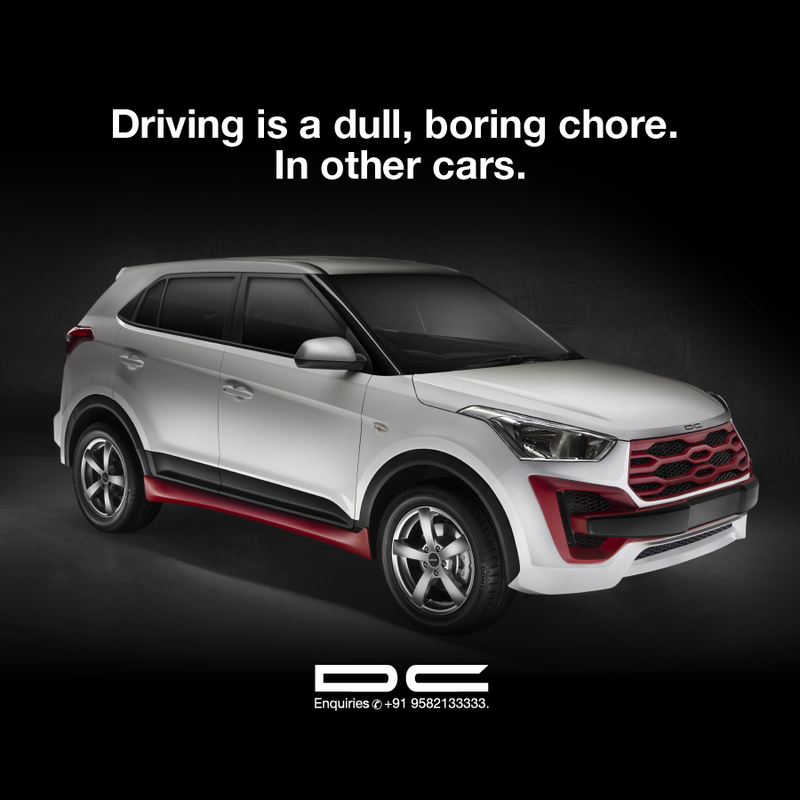 DC Design offers a body kit for the pre-facelift Hyundai Creta. The mod job brings in a new front bumper that carries a more prominent grille, and bigger foglamp housings. It gets dull red highlights. In the side profile, the car receives five-spoke alloy wheels and underbody side skirts that are finished in the same shade of red. The interior of this DC modified Hyundai Creta gets red leather upholstery. The centre console, arm-rest, and steering wheel get several red accents. The dashboard gets a new faux wood trim. Even the country's best-selling SUV, the Maruti Vitara Brezza, has gone under DC's scalpel. The body kit for the Brezza brings in an all-new grille, a new bumper that has gaping air vents, and LED indicators. 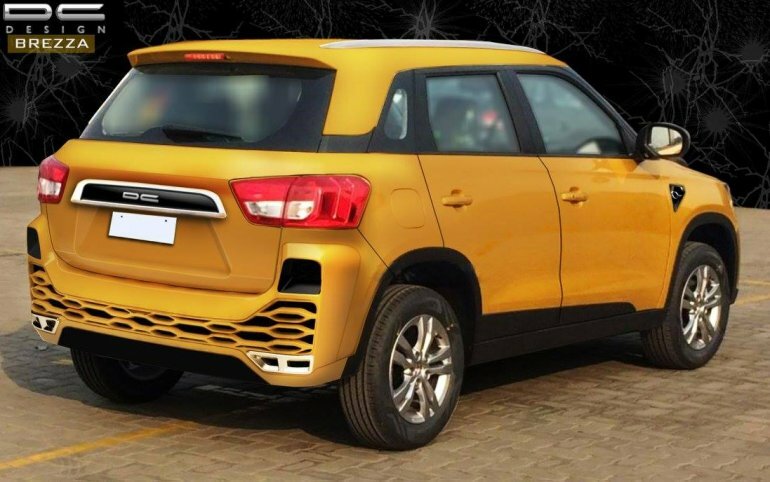 At the rear, the DC modified Maruti Vitara Brezza gets a new bumper that mimics the one at the front. The interior receives a dual-tone, black-yellow colour scheme. DC Design also provides optional faux air vents for the front fenders. The Toyota Fortuner is widely appreciated for its bold stance and macho looks. The earlier generation of the Fortuner was launched in India in 2009 and pretty quickly gained popularity. It received a massive makeover from DC Design, which makes it look almost nothing like the stock version. Up front, you get a large grille that carries the DC logo on a horizontal chrome slat. The SUV also gets a new pair of headlamps that are smaller than the stock units. Other than a radical makeover for the front-end, this modified Fortuner doesn't seem to carry any other significant update. 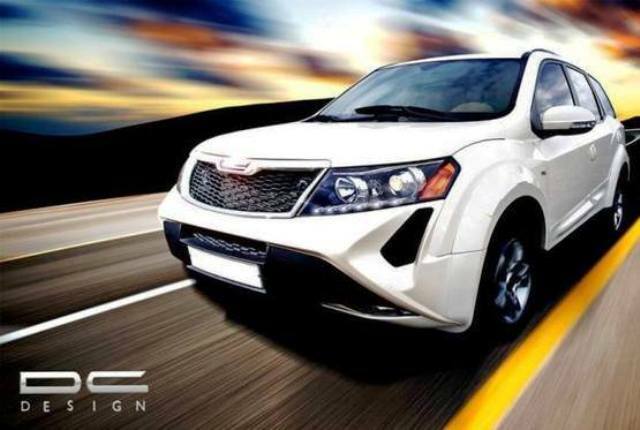 The Mahindra XUV500 is another popular SUV that has been modified by DC Design. 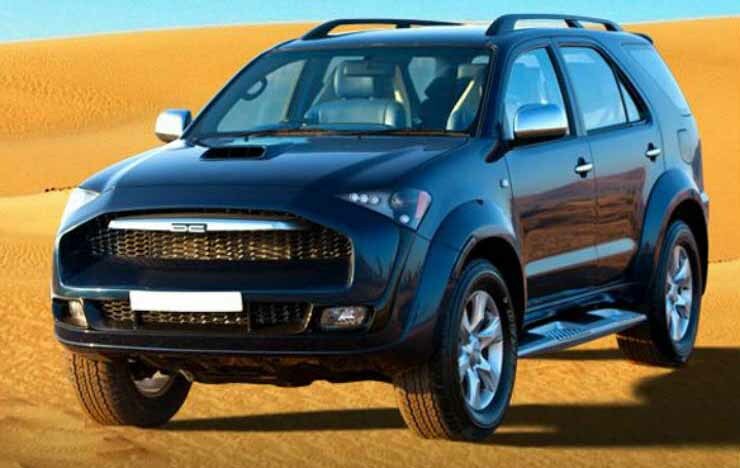 Based on an earlier iteration, the DC modified Mahindra XUV500 gets a handful of changes for its exterior and interior. On the outside, you get a new grille that has a honeycomb mesh and a DC logo. The bumper is new, too. On the inside, the XUV500 receives a lounge-like setup. The stock middle and rear row of seats have been replaced with two captain chairs that have electric adjustments. The rear passengers also get a personal entertainment screen. Ambient lighting completes the lounge-like setup. 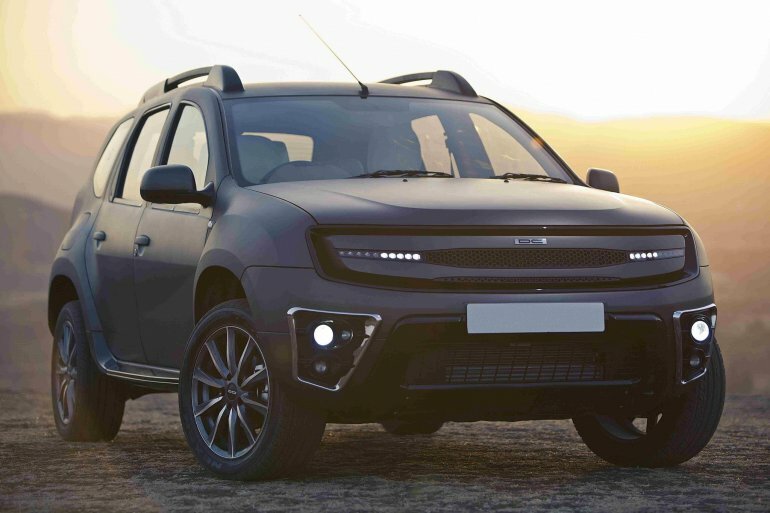 The Duster used to be the most popular model in Renault India's lineup until a few years ago. Seen above is DC's version of the old SUV. The entire front-end has been given a thorough makeover, which makes the SUV look slightly more modern than the regular version. The bumper has been updated with new foglamp housings that have a set of auxiliary lamps. The original headlights and grille have been done away with. Instead, it gets LED DRLs, and a new grille spread across the width of the car's nose. The Ford EcoSport is yet another SUV that has gone under DC's scalpel. The EcoSport by DC seems to have been modified on the lines of the customised Duster seen above. 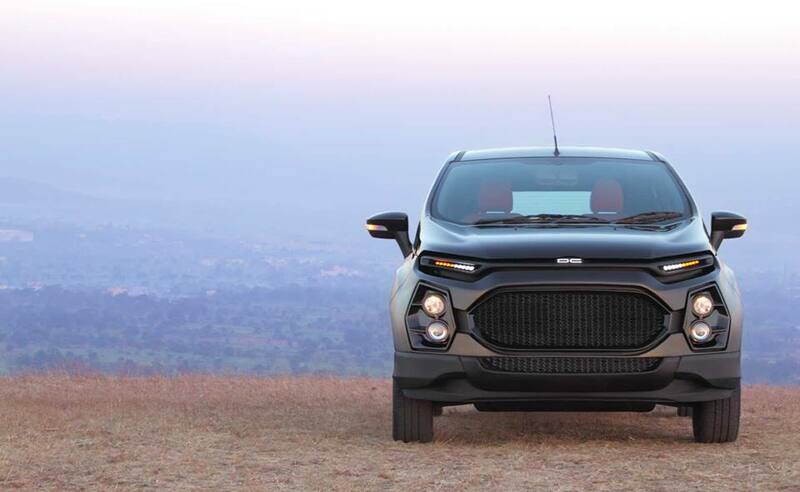 Akin to the Duster, the EcoSport by DC Design is given a massive makeover for its front-end. There's a giant air dam that is flanked by auxiliary lamps. The original headlamps have made way for LED DRLs. The blue oval badge has been replaced with the DC insignia.